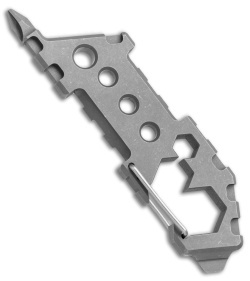 This SKT-2 Model 2 pocket tool has a bead blasted finish with optional black and tan handle grips. 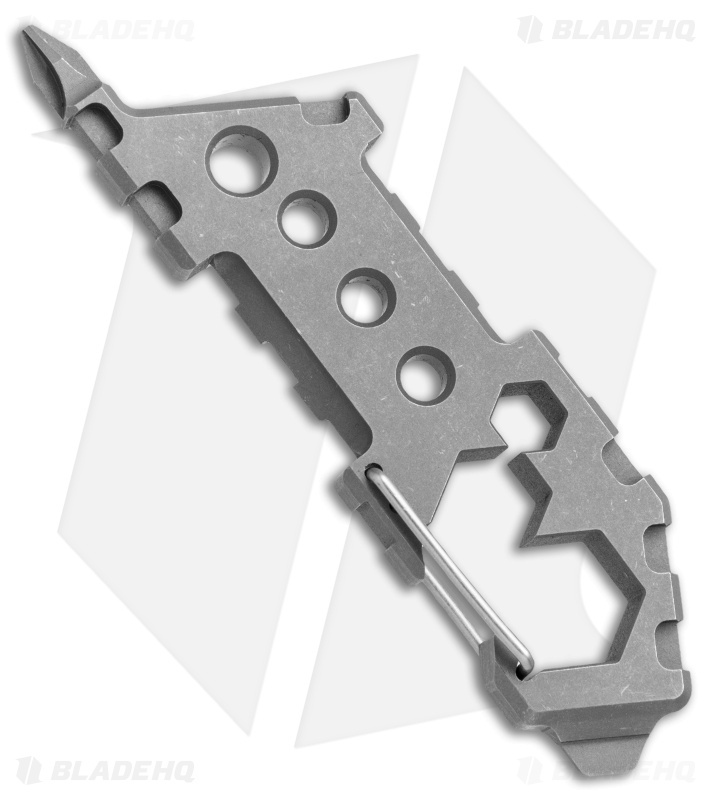 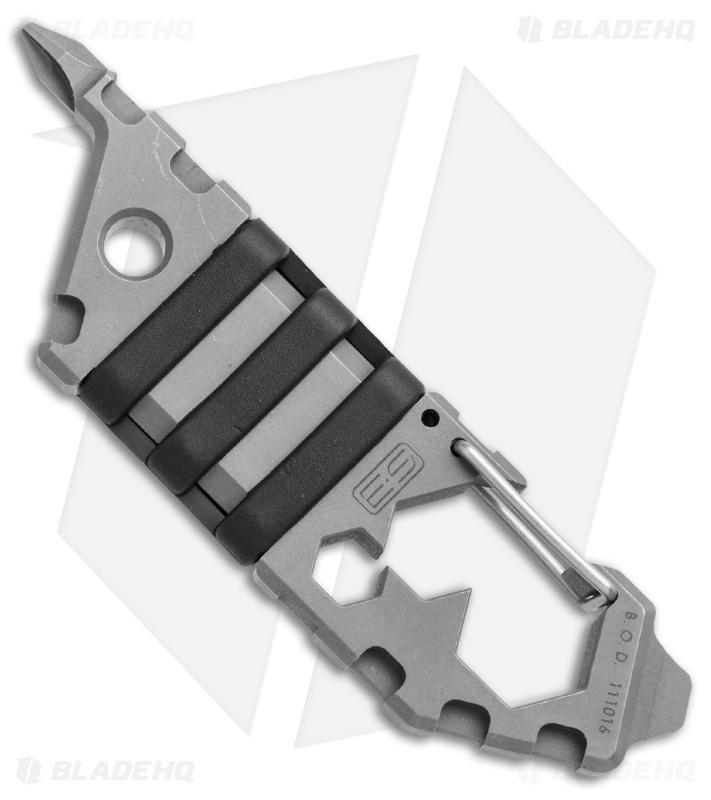 The Sektor 3 pocket tool features rugged titanium construction and a streamlined EDC design built for comfortable carry. These highly functional tools are carved from a single piece of surgical grade titanium, with a mil-spec handle grip that is an exact replica of the picatinny rail system found on AR platform rifles. Optional black and tan rubberized grips easily snap on to this section for a customized look. A stainless steel carabiner secures the tool to a keychain, belt loop, or lanyard.